Okay, well, now that the pregnancy announcement is official out and about on the inter-web, I can now finally talk about it, HUZZAH. When I first pregnant I had read that pregnant women often have very vivid dreams. Often the subjects of these dreams are along the lines of concerns that come with pregnancies, like miscarrying, your husband leaving you, and other sad things like that. Um, yeah. My dreams aren't so much along those lines. sort of lilac-colored crystals. Yeah, super weird. land and into the ocean for safety. That's not the weird part. coolers to see if there's a dead guy or fresh water in them. Yep. bus is about to run over a manatee!" My father-in-law replies, "Oh, the manatee will be okay." its back. 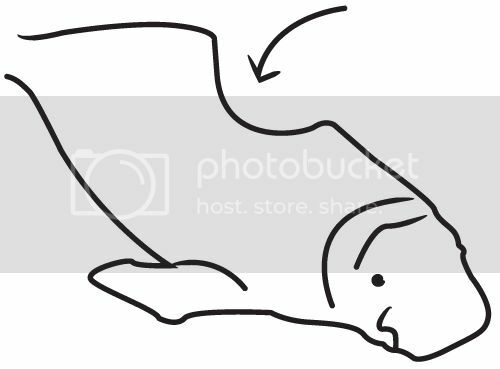 I have illustrated said manatee below.